Midterms were a week ago. Depending on your political leanings, it was really good or not so great. If you didn't vote and liked the outcome, then it's all good in your world. If you didn't vote and you are upset of the outcome, go to the mirror before you start cursing. If you didn't vote and don't give a flying crap about the outcome, let me tell you to please wise up. Maybe read an article about the setup of this country, or take a political science class in college. I'm okay if you vote opposite of me, but to stay home anytime there is an election is saying you want to give control of your life to someone else. Apathy is not an option. My bud Duane at Democratic Roadkill is feeling how I feel, I'm sure. But we'll get through two years until the next election. Until then, there is also cardboard to take away some pain. 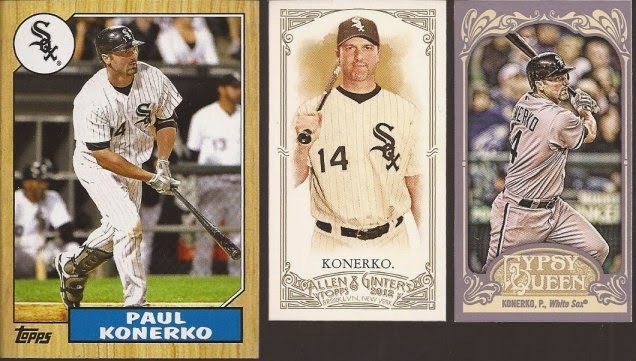 Konerko additions are a good thing for the Paulie binder. Surprising Duane let go of the A&G in the middle, but considering the extras he probably has. I hope these can get me past a fight to raise the minimum wage here is Illinois. Some really nice Hawks were in the package. The more I see Contenders, the more I like them. Have to enjoy the ice since the drive to protect the rising temperatures will probably get buried. Some regular White Sox were in there as well. Uribe is trying to steal either your girlfriend or your soul. If he takes your girlfriend, make sure she has enough money for her health concerns. YUM!!!! 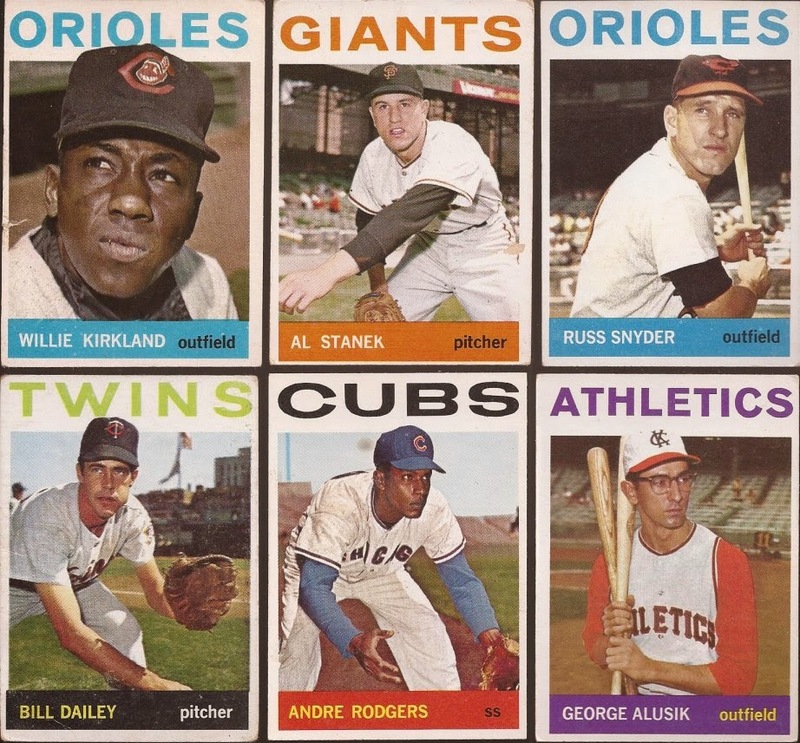 1964s for my 64 Topps set. Which is great, since we'll probably repeal enough laws to take us back to the early 60's. Sorry - sour grapes. 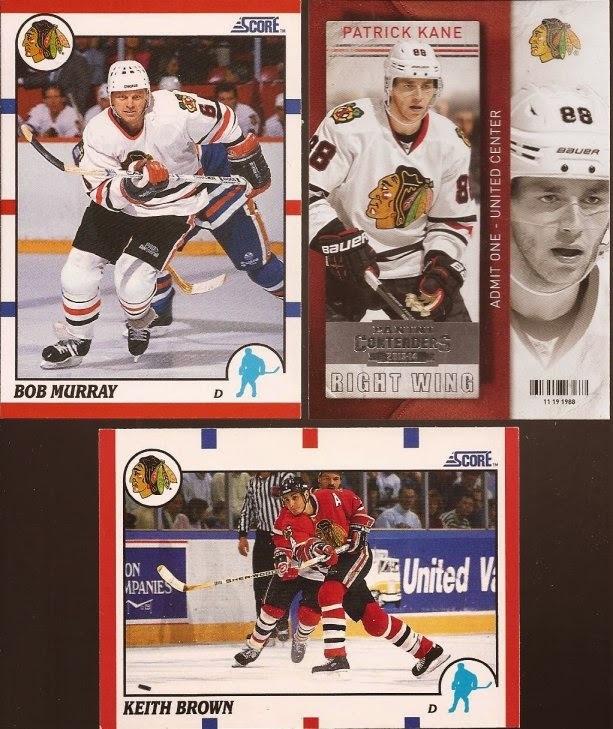 Thanks for the cards, Duane. George Alusik looks like someone's nerdy cousin who won a "Pose on a Real Big League Field!" contest.